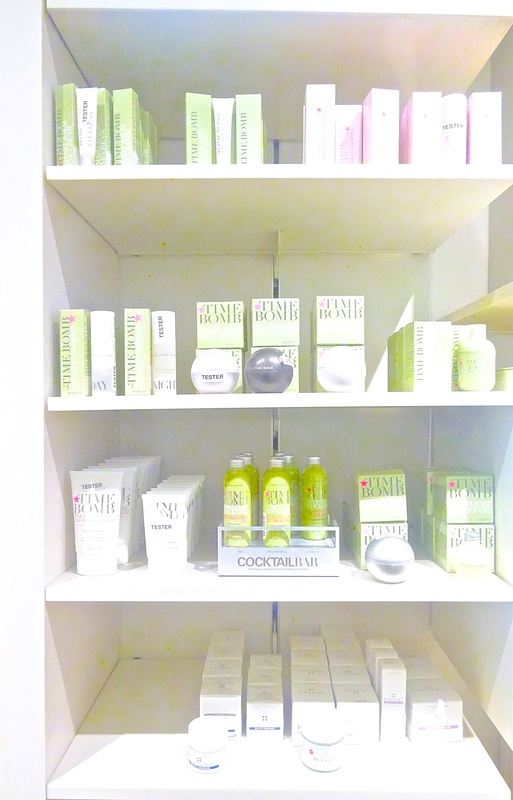 Last week I headed towards the Selfridges beauty workshop for the Timebomb Complexion Cocktails event. 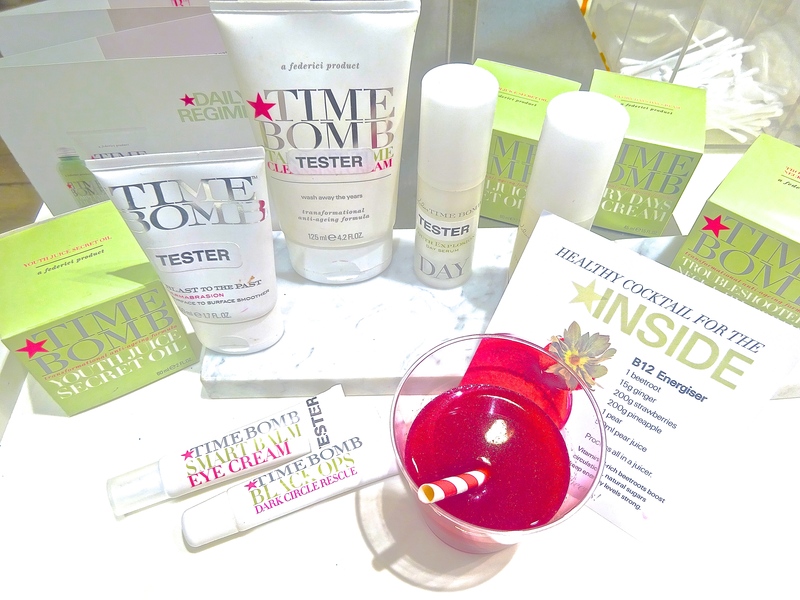 Timebomb skincare is all about using skin boosting formulas to ‘stop the clock’ of ageing skin. The skincare expert Gemma Clare was on hand to give us great advice and tips about tailoring your skincare and diet to the specific needs of your skin. The lovely ladies from NBPR were also talking us through the range and giving us their personal experience of the products. All whilst sipping on a yummy beetroot cocktail of course! I was really intrigued by the idea of their complexion cocktails – super potent tonics that target fatigue, stress or dehydration. As I suffer from dry skin, obviously I was all over the one with a shot of H2Omega formulated for dehydrated skin! The Timebomb range isn’t just limited to these tonics, it offers a range of products from oils, to cleansers and moisturisers. I’ve particularly got my eye on their Dark Circle Rescue – perfect to erase the signs of those late night blogging sessions! The tinted moisturiser would be perfect to delay having to pile on foundation as my tan fades. I am always on the lookout for new skincare so I will test out these products and get back to you with my verdict. But I can tell you now, I’ve got a good feeling about these! I love sipping on cocktails, so why wouldn’t I love slapping them on my face too? 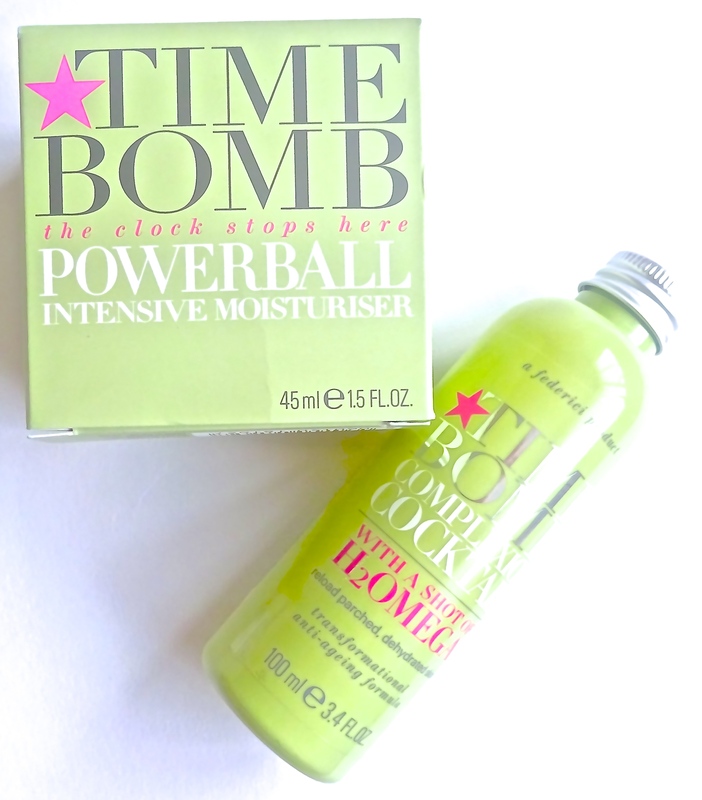 Have you tried any Timebomb products?